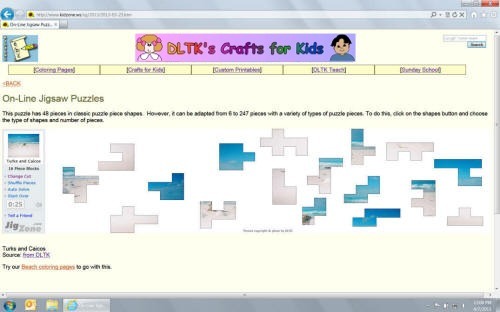 The HTML5 puzzles use the entire browser window. Difficutly can be adjusted with a variety of puzzle cuts. The puzzle pieces may have to be rotated with a right click to put the puzzle together. There is also a preview option to display the faded picture in the background for reference. We started making this puzzle type in 2013. 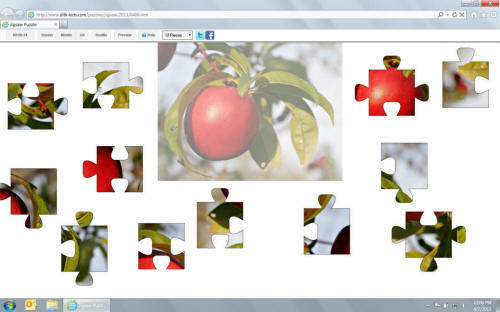 Jigzone puzzles by Jigzone.com use HTML5 for compliant browsers and Java for older browsers. There are a wide variety of creative puzzle cuts offering levels of difficulty.